Will give this a try. Thanks! Thanks for the mention Jane and yours definitely look so so good! 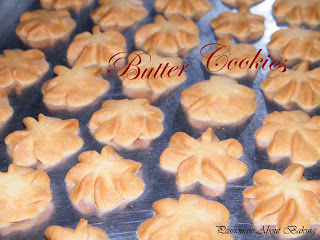 I saw these on sonia's blog n they def look good ...will keep the recipe for sure. 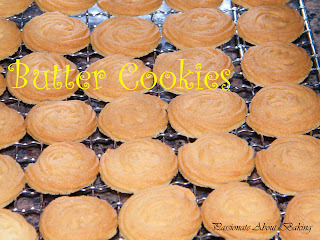 If you love melt-in-the-mouth butter cookies, then you just cannot give this a miss! I love it so much I just have to bake again! Hahaha... And it's foolproof!! This btter cookies look good! Is the texture same as the one you gave me? 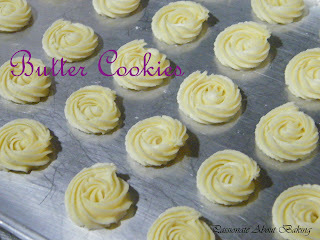 Yes, this butter cookies is truly good! It's not the same as the one I gave you. This is melt in the mouth and very light kind. Mine is crispy and crunchy and hard. Delectable Butter cookies...melt in your mouth and great with cuppa..;)) first time here and you have good site..following you..